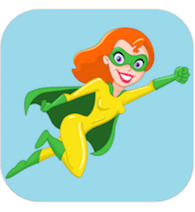 Download the app to live with confidence, act with power, and speak with authority with these 251 Action Verbs and Sample Sentences for you to use. You can also add your own Verbs and sample sentences. Just enter your first name and email below to get your own copy of 113 Power Verbs, by Christopher Westra, including sample sentences for EACH Power Verb. You'll also receive my I Create Reality Newsletter, which will give you more free books, audios, and Manifesting Tips. You can unsubscribe at any time.